Facebook groups are in a great demand to promote anything online. It has many features like whenever some member posts in the group all members get to know about the post as Notifications. Facebook was started in 2004. Everybody is aware and loves to use Facebook. Facebook has an option of creating groups, pages and also Facebook Apps and Facebook Games. Groups on Facebook are huge in numbers and are increasing day by day. Learn How to Add All Friends to Facebook Group. Starting a Facebook Group is free and easy. Make a facebook group when you have great numbers of active friends on your Friend list. 1) First, sign up and create the account on Facebook. 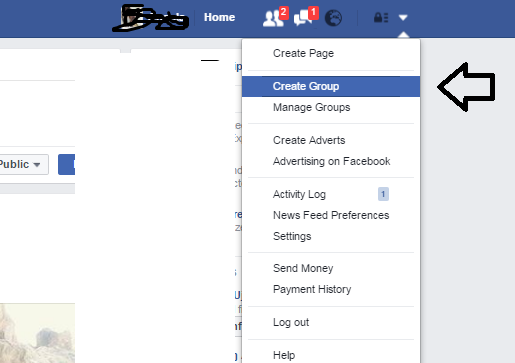 2) At the top right side of your Facebook Profile, there is the small arrow, besides notification bar, under that you will get an option of create group. 3) Name your Group, add members, and select a privacy. Either closed, Public or secret Facebook Group. 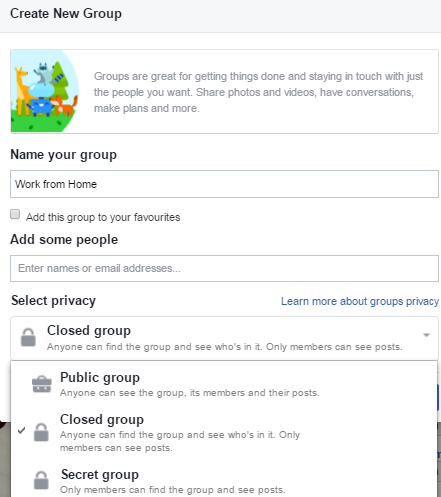 You can make a Secret or Private Facebook Group. 4) I recommend making it public if you want to make it famous. #1) Free to create it. #2) Promote anything which is allowed by Facebook. #3) Add members to group for free. #4) Facebook Account is the only requirement for creating a Facebook Group. #5) You can add multiple Admins to the group. #6) You can make the group either Public, closed or Secret. 2) Right, click and hit inspect > console or Press CRTL+SHIFT+I or F12. 3) Now get the Script from here and paste it int Console. 4) You are done, all your Friends will be added to your Facebook Group. In case if you find this process complicated or time-Consuming you can try these two Chrome Extensions. But you can use Chrome Extensions only on Google Chrome Browser. Just Download and Install Chrome Extensions. Facebook Friends to Group Adder Extension. Hope you all got the benefit of this script to Add All Friends to Facebook Group in one Click. Next Post: Amazon SEO Service : Rank Amazon Product Page on Google ?